Drawing a beautiful glass decoration on your glassware! 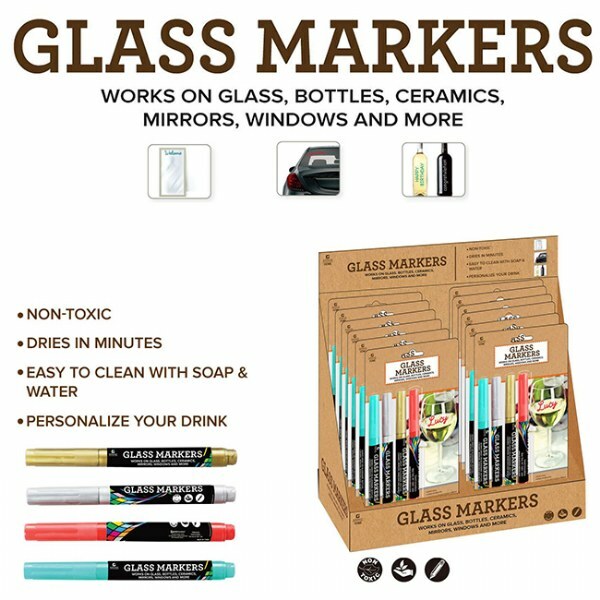 Drawing a beautiful glass decoration on your glassware instead of regular wine charm or writing glass name tags to guarantee your guests will Never lose or mixed their glasses again, will make sure every party or event you arrange will be a memorable one with this drink markers. Non-Toxic. Dries in Minutes. Easy to Clean with soap and water. Personalize your drink. Works on Glass, Bottles, Ceramics, Mirrors, Windows and more. Finally, a marker that works where I want it to.